DEER ISLE — The Wings, Wave and Woods Birding Festival will be held from May 17-19. This birding and art festival returns this year to celebrate birding by land, by sea and by art. Events range from boat trips to Seal Island National Wildlife Refuge to look for puffins, great cormorants, razorbills and other pelagic birds to natural history tours, warbler walks, avian inspired art offerings, Bird’s Eye View flights, a live owl presentation and more. New offerings this year include a special catered buffet dinner by Matthew Carter Friday night at St Brendan the Navigator Episcopal Church. Following dinner, professional birding guide and author Bob Duchesne will speak on “Habits and Habitats”. He will share tips the experts use for recognizing bird behaviors and habitat preferences, making it easy to identify birds more quickly. Saturday evening, join State wildlife biologist Danielle D’Auria, who will speak at the Stonington Town Hall about tracking five great blue herons using lightweight GPS devices to follow their movements during nesting, migration and wintering. Sunday afternoon, Bar Harbor field ornithologist Michael Good, owner of Down East Nature Tours and Founder of Acadia Birding Festival, will present a two-part program titled: “A Brief Moment in Time: Bird photography made easy”. Looking for more boat trips? How about a Lighthouse and Wildlife Cruise or our ever-popular boat trip to Swan’s Island and Burnt Coat Harbor Lighthouse. Some of the best birding is found on quiet roads, and there are miles of trails at the numerous nature preserves on Deer Isle, nearly all of which include shore frontage. 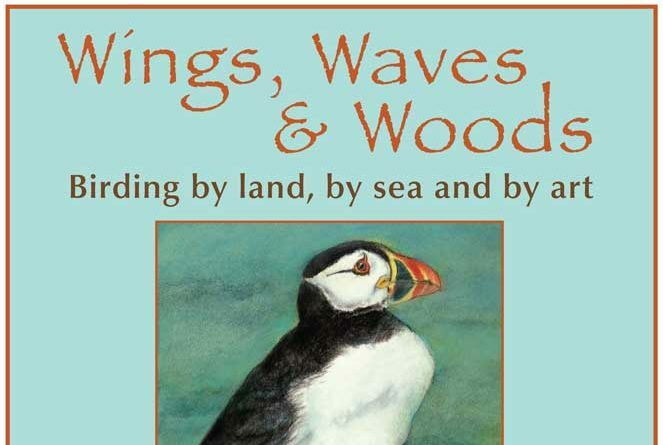 Wings, Waves and Woods festival is informal, and welcomes beginners and families as well as experienced birders. The festival is a great way to explore the island, its birds, natural areas and art. Choose just one or two activities or register for the whole weekend for just $35. The complete schedule is available at islandheritagetrust.org. To register in advance, call 348-2455 or email iht@islandheritagetrust.org. Program updates can be had by calling Island Heritage Trust at 348-2455 and on the Wings, Waves & Woods Facebook page.